In making any claim for negligence on the part of a landowner, the injured victim must show that the landowner was negligent in properly maintaining the property in a reasonably safe condition. The question typically comes up on whether the injured party should have noticed the defective condition and should have avoided it. Recently, the Rhode Island Superior Court has tackled this issue in the case Grande v. Warwick Central Baptist Church, C.A. No. KC-2009-0192 (Aug. 2012). In this case, the injured party was a member of a support group that was attending meetings at a church in Warwick, Rhode Island. The plaintiff had been a member of the group and attended meetings for six years prior to the incident. One day he tripped over a piece of the curb in the back of church heading into the parking lot. The route he was traveling on when he fell was the same route he took in and out of the church for the previous six years. The plaintiff alleged that he had never seen the short curbing that he tripped on previously. The plaintiff did not have, though, any pictures of the curbing when he fell. He only had pictures of the sidewalk and curbing when his deposition was taken over a year after he fell, in which the church had already changed the curbing. Grande, C.A. No. KC-2009-0192 at 1-2. “A landowner is under no duty to a person reasonably expected to be on the premises, to warn against an open and obvious condition on the premises. The duty imposed upon…the plaintiff [is to] act as a reasonable, and prudent person under the circumstances. And this duty includes the obligation and responsibility to look and take into consideration the conditions and circumstances [that] would be obvious to a reasonable [and prudent] person in the same or similar circumstances.” Tancrelle v. Friendly Ice Cream Corp., 756 A.2d 744, 752 (R.I. 2000). The Court concluded in this case that, although the church had a duty to protect the plaintiff against the risks of a dangerous condition, it was not required to anticipate against unlikely dangers nor safeguard him from an obvious danger. Here, the Court determined, the plaintiff should have seen the short curbing and he then assumed the risk of walking on it. Grande, C.A. No. KC-2009-0192 at 4. The Court felt the plaintiff showed no evidence to prove his case that the curb was not open and obvious. The plaintiff had walked by the curbing almost weekly for six years. The plaintiff provided no photographs of what he had actually tripped over to prove the Church was negligent in maintaining the curbing. There was no evidence provided to show “the curb was not in good repair, was concealed, was not clearly visible to pedestrians, or was in any way unusual.” Id. The Court, also, emphasized that the plaintiff’s view of the curb was not impeded by anything, thus the curb was open and obvious. Id. There was a lot of key evidence missing from the plaintiff’s case, and that greatly affected the outcome. 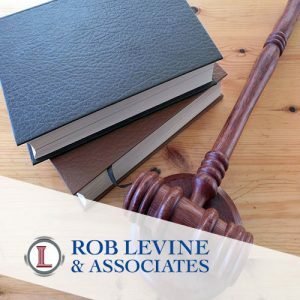 Here, at Rob Levine and Associates, we do everything in our power to secure all the necessary evidence needed to properly pursue a case. As soon as any plaintiff has any accident, the firm makes sure all pictures of the scene are taken immediately. We also gather all the pertinent information needed to properly prove your case at trial. The point is that if you are injured, you need to call us as soon as possible so that we can go to work for you.